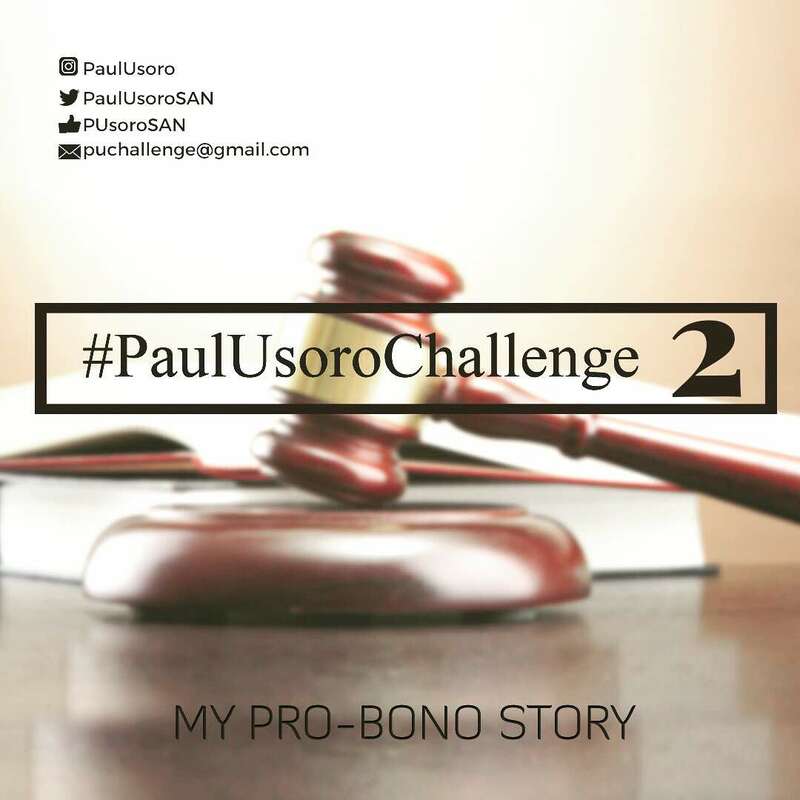 Paul Usoro & Co (PUC) is delighted to announce the second edition of the Pro-Bono challenge commencing today the 09 February, 2018. The first edition was an eye opener with a range of video entries that inspired so many in the Legal space. The initiative is aimed at rewarding the selfless and sacrificial efforts of lawyers who go the extra mile to defend the defenseless, ultimately restoring confidence in and respect to the rule of Law in Nigeria. This second edition will focus on humanitarian issues, with special attention to Law enforcement agents’ brutality, Gender related issues, and Child abuse. The 6 most compelling cases will be rewarded with N100,000 each. 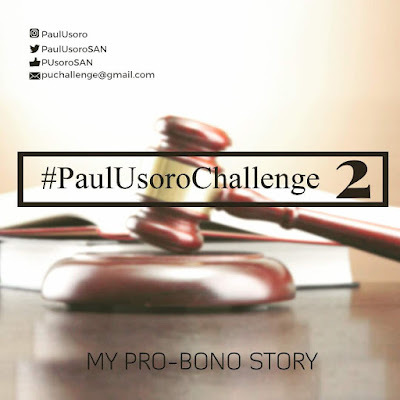 • All video entries via Instagram & Facebook are required to use the hash-tag #PAULUSOROCHALLENGE for the videos to be discovered. • There will be extra points for Law enforcement agents’ brutality, gender related cases, child abuse and humanitarian matters. • Past and present PUC lawyers are not allowed to take part in the PU Challenge. • Participants in the maiden edition of PU Challenge are not also allowed to participate. • Lawyers who can participate are Members of the Nigerian Bar, of 1-15 years’ experience, who have paid their practicing fees..
• Entries will be selected on a zonal basis (6 geographical zones). There will be 1 winner per zone; for outstanding Pro- Bono cases handled. • All supporting documents should be sent to a designated email address: puchallenge@gmail.com for verification. • Follow the Paul Usoro social media accounts for live updates - Twitter: @PaulUsoroSAN; Facebook: Paul Usoro, SAN (Personal) & Page (@pusorosan),Instagram: @paulusoro, LinkedIn: Paul Usoro, SAN. All entries must meet the above listed requirements before they are considered valid. Acceptance of entries will end on the 09 March, 2018. A panel of external judges will decide the winners which will be announced vide the official Paul Usoro Instagram handle in April, 2018.